What would the world be without our super hero’s? So maybe we should start respecting and promoting them a bit better. 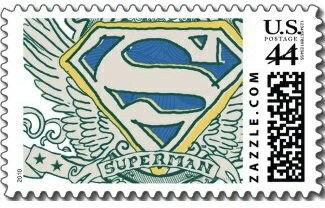 Maybe next time you send a postcard or a letter you should use this Superman Sketch postage stamp. of course this stamp comes in different values and is great for collectors or people who are bored of regular stamps. Stop doing what you are doing and order these nice Superman Sketch Stamps. 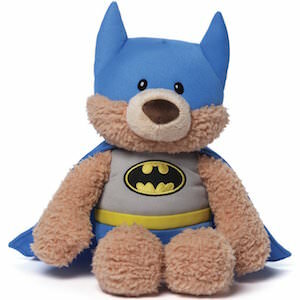 Are you a serious Batgirl? 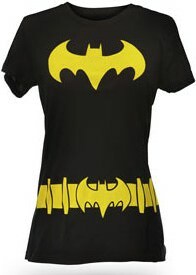 If so then you need to get this cool looking Batgirl T-shirt. It is extra long and can be worn as a costume. 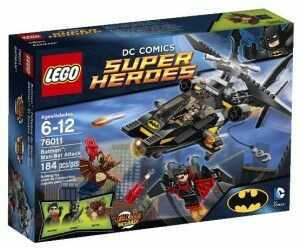 On the front it has a huge bat symbol and it has the utility belt printed on for added effect. 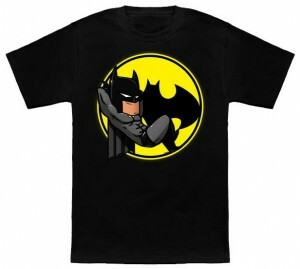 Show off your love for Batgirl with this T-shirt. This is for the real Star Trek fan a Trekkie or Trekker will love this item. A space ship in the shape as a fish. 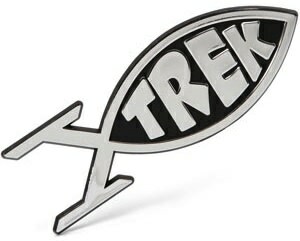 We all seen them cars with a fish shaped sign on them to show there religion and now you can show yours by this Trek sign. 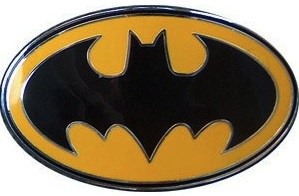 How can you wear a normal belt when you as Batman fan can have this great looking belt buckle. This licenced Black Batman logo on a yellow background is great to wear as a belt buckle. Go see what others think of this Batman Belt buckle. Toy Story was always fun to watch and this latest movie Toy Story 3 was so much fun to. And how can you keep your memories fresh? 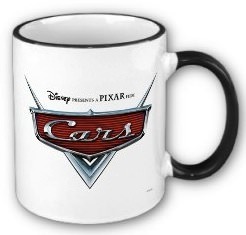 What about this funny looking Toy Story 3 logo t-shirt?, it is nice for young and old so maybe get one for the whole family. 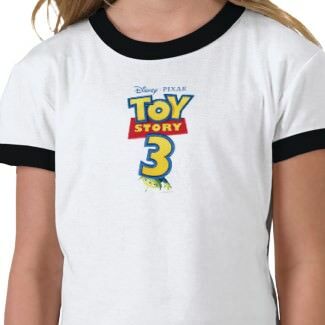 Check this Toy Story 3 T-Shirt. A classical T-Shirt about a classical movie. 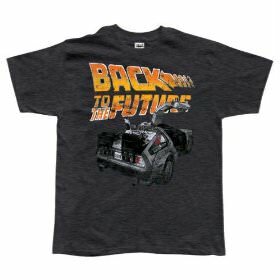 Back to the Future one of the best movies ever made and now you can own a T-Shirt with the Back to the Future Logo and the Time Machine also know as the DeLorean Car. This is a great T-Shirt that a real movie buff needs to own. The New Moon movie was great but having the gear to prove how great is even better. And now you can own your own 2GB USB Flash Drive with the New Moon Movie Soundtrack on it. And that is not all the Flash drive has the design of the Cullen family crest and can also be used as a key chain. 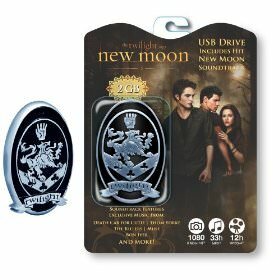 So you see this is a must have gadget so get your own Twilight New Moon Soundtrack 2 GB USB Flash Drive . 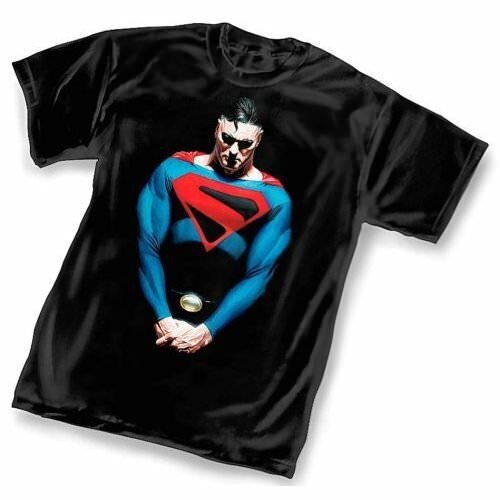 Superman as screen printed on this T-Shirt by Alex Ross looks stunning. 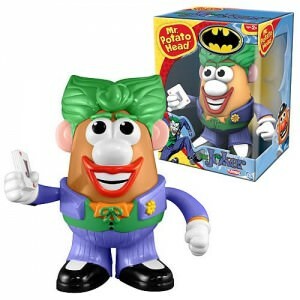 This is one of those one of a kind products that you will not find everywhere. If you like Superman you will like this shirt. Have a closer look at this KINGDOM COME SUPERMAN III T-Shirt. Superman you can see his familiar logo enough so even on electronics you will find it. This is a 4 ports USB HUB that will offer you more connections to your computers USB. 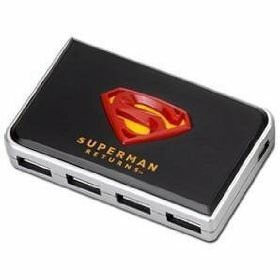 Order this Superman USB 2.0 HUB 4 ports and you computer will be thankful.